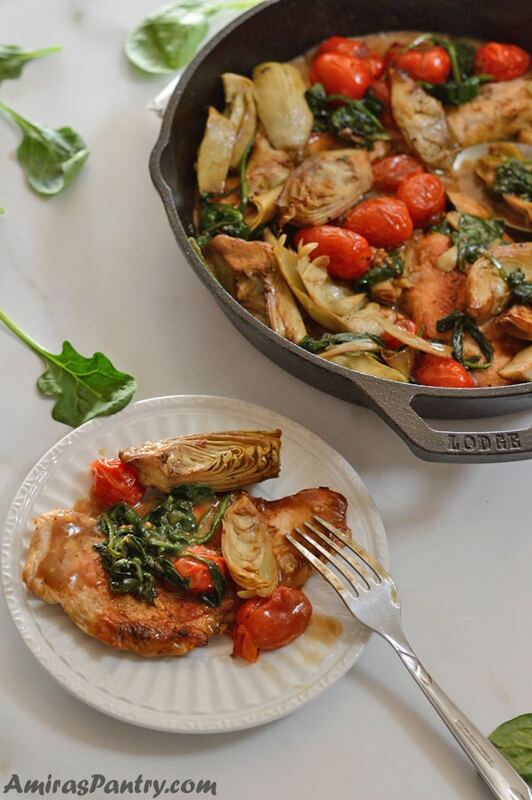 One skillet lemon artichoke chicken dinner, ready in 30 minutes. 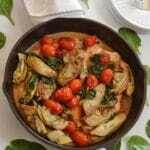 Add some spinach and tomato for more colors and nutrients, serve with rice and you’ve got a drool worthy dinner. Hearty and nourishing, this is the kind of recipe that after you eat, you’ll feel you did your body good. We are talking simple, bright, fancy, real food and beautiful chicken dinner out of nowhere. Recently I took my oldest to the pediatrician and there was this nice nurse waiting for him, you know to take all his measurements and stuff. When she knew that he is almost 15, she looked at me and said ” Is he behaving well?”, cos we have shots for that as well . I replied ” He has his moments but in general he is a good boy”, the lady then gave me a piece of advice that I need to be firm and in this time we are living in I have to be firm. She continued on a story about her daughter that when she was 14 I guess, she used to slam her bedroom’s door whenever something happens. One day the mom told her if you did that again you’ll not like what will happen next, the girl bluntly slammed her door not once but twice .What do you think the mom did? She went up to her daughter’s room and took off the door!! The woman ACTUALLY made her daughter’s room door-less, I seriously find it funny 藍. SO, I gave my son this look , and he replied back with that look that says ” Don’t you dare think about it” hehehehe. But seriously guys, although this might seem cruel to some people, sometimes kids drive you nuts. Yes to the point that you take off their bedroom’s door , I really cannot stop laughing about this. Ok, back to today’s post. It feels like we are all on the same page these days. A detox page, a vegan page, an east healthy page probably a Keto page!! Everyone is seeking healthy foods, and we really have to. After two months of cookies, chocolate, cakes, pies… etc. It is indeed overwhelming, but hay that’s what holidays are for. Food, Fun, Family and Friends and I will never want it any other way. I think we are all ready for some healthier stuff, and by healthier I mean more fruits, veggies and probably lean meat. 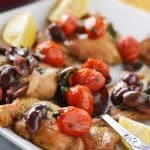 My idea about healthier recipes is also delicious recipes like this one. Creamy, tangy and oh so good. 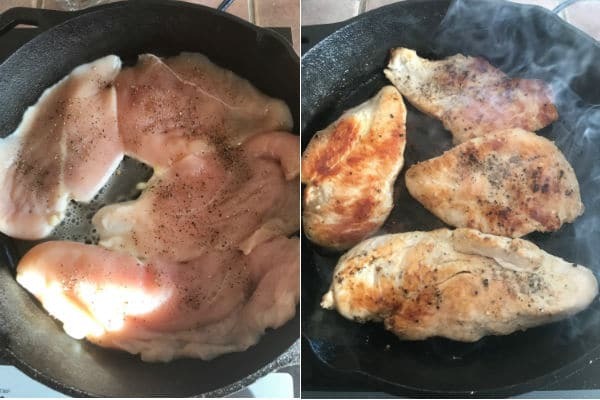 In your skillet, melt some butter add chicken breasts and cook on each side for almost 5-8 minutes until lightly and nicely browned. Set the chicken aside. In the same pan, melt more butter ,we are talking in terms of 1 or half a tablespoons, and saute tomatoes. Again set them aside with the chicken. 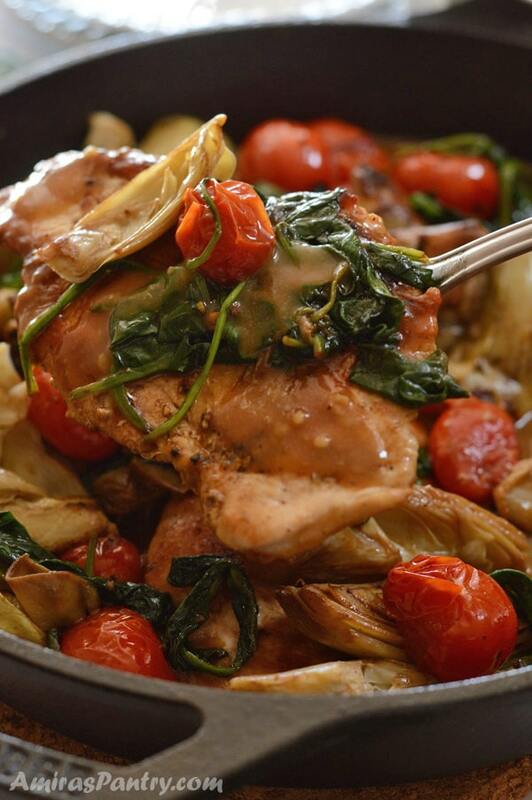 We’ll repeat these steps with artichokes and spinach and then set them aside. Now add garlic, saute for a little and do not let it brown or it will make your sauce bitter. Stir in flour then lemon juice. Pour the stock and stir until it thickens. Put everything back in the skillet again and give it a minute or two to get to know each other on low flame and you are ready to serve your delicious meal. Serve it with a side of rice or pasta, I personally prefer rice or probably couscous. The idea behind this dish came from a well known restaurant that I’ve visited recently and ordered this dish. Unfortunately, the dish was not what I’ve expected. Chicken slices was very dry, it had very few artichoke pieces and there was rarely enough sauce. I was very disappointed and decided to make it myself, and boy was I pleased. 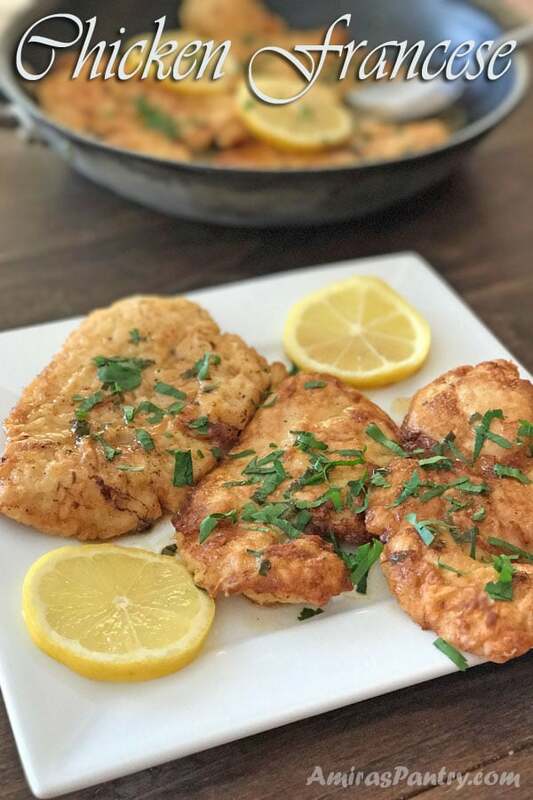 January is the month of healthy eating, setting goals, habits… etc, my goals with this recipe is to inspire you to cook at home, it will definitely be healthier than eating out. I lb chicken breast thinly sliced. 1 14 oz can artichoke, drained. 1 large garlic clove minced. In a skillet, over medium heat, melt 1 Tablespoon of butter then add chicken breast, season with salt and pepper. Cook on both sides until browned on the outside, 5-8 minutes on each side. Transfer to a plate and cover. In the same skillet, melt 1/2 Tablespoon of butter add tomatoes and saute until tomatoes get charred a bit. Transfer the tomato to the plat with the chicken. Add another 1/2 Tablespoon of butter to the pan then add artichokes and spinach. Sauce over medium heat until spinach is wilted and artichokes begins to brown. 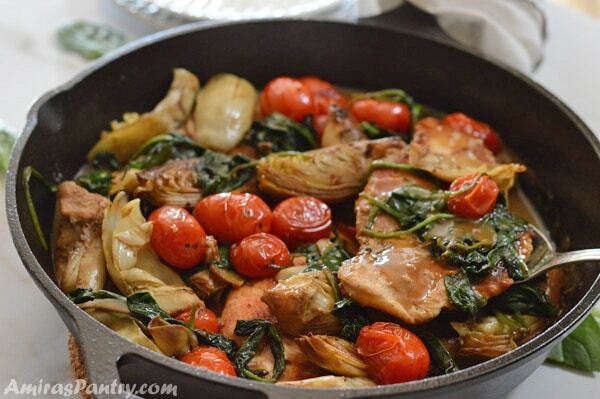 Transfer to the plate with the chicken and tomato. ce, stock and stir on low until sauce thickens, about 2 minutes. 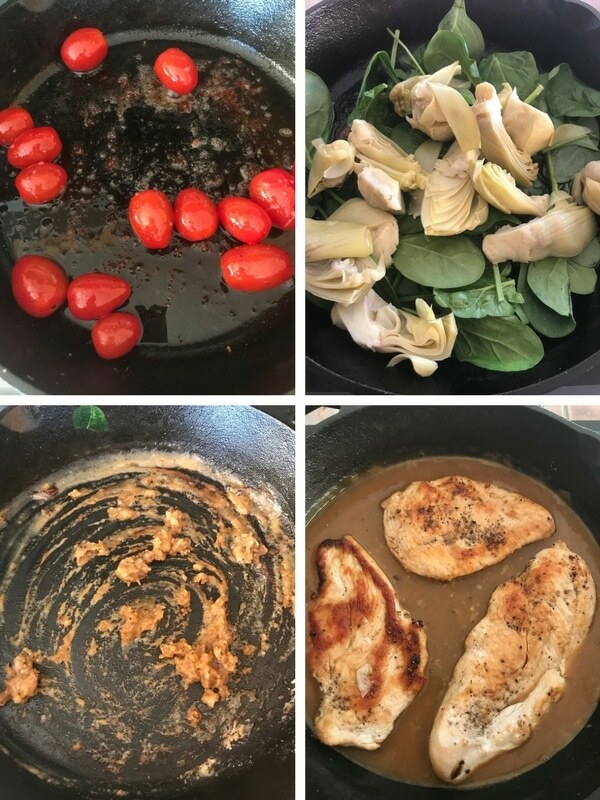 Transfer chicken, tomato, spinach and artichokes back to the pan and toss to coat. Adjust seasoning if necessary. Simmer on low for a minute or so. 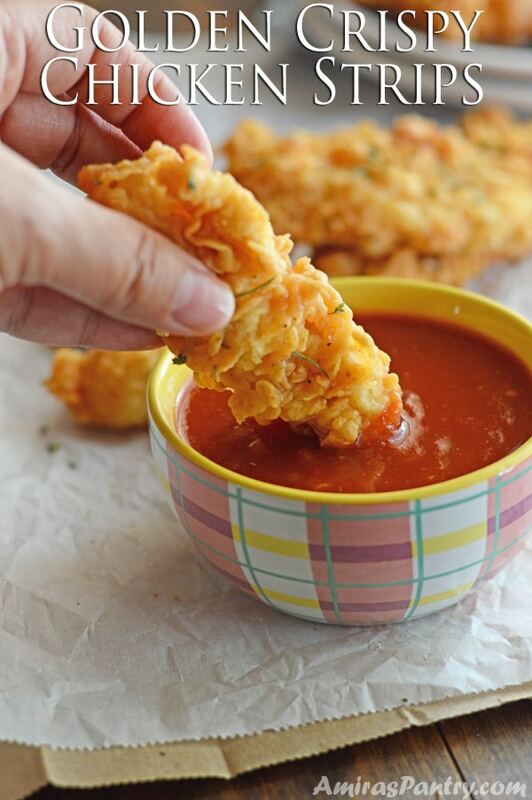 Serve hot with rice, pasta or any side you like. 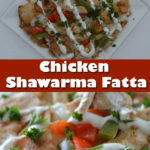 Amira: This recipe sounds and looks delicious. I picked up the ingredients today to make it for Sunday dinner. But I have a question.. what is the ‘sauce’ you add with the tomatoes in step #3? Or is that just a typographical error? Wendy, I really hate that auto correct thing, it is supposed to be saute not sauce :). Thanks and I hope you’ll like the recipe. 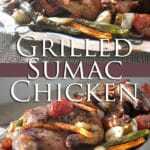 I made this recipe for dinner tonight and it turned out to be very delicious. It was a definite hit. I did marinate the chicken overnight in white wine, but think it would be tastier next time without. Thank you for sharing your wonderful recipe creations! 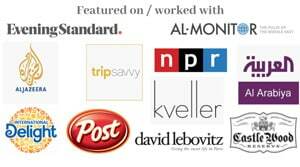 Nova, thank you for trying this recipe, I am glad you liked it. I really cannot tell you if it is better or not with the wine as we do not consume alcohol. I hope when you try it without the wine , to come and tell me which one tasted better for you. Wow, Keto! Love your tips Nirmo. Can you use something like almond flour or any other nut flour? Ha ha ha maybe no door one day? 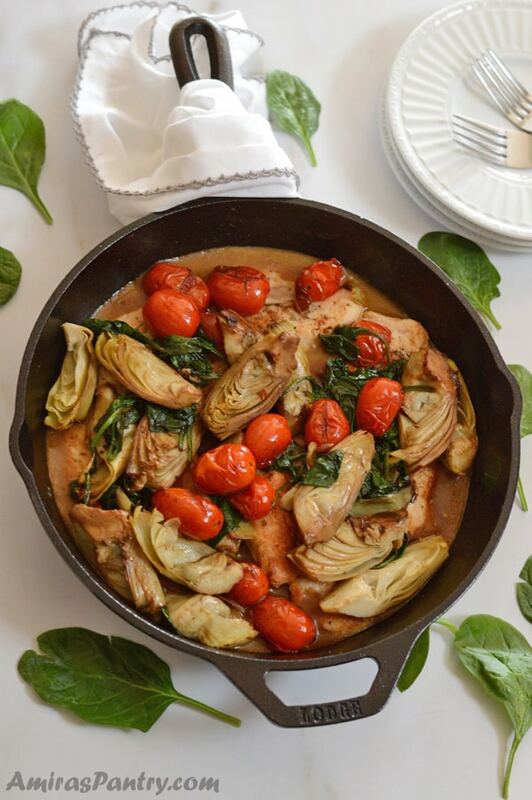 Seriously appetizing dish and great use of artichoke. Totally will try this. It is a very tasty dish Eve, I hope you’ll try it and tell me how it went. Thanks for dropping by.